I liked the staff as well as short wait time. Very thorough exam from a very professional and friendly doctor and staff. good experience satisfied with services; as well as, results. Only a short wait. Very professional group. Good bedside manner. Answered all questions. Dr. Crane is personable and knowledgeable. I have a tendency toward skin cancers which he has kept under control over the many years I have been seeing him. I very much appreciate his thoroughness. I highly recommend Dr. Crane. I went in with high anxiety, and Dr. Cook immediately understood my concerns and took his time with the nose anesthesia. The concern for my comfort was impressive. The anesthesia & surgery were pain free. Thank you for your compassion and excellent work. I hope you will be there a long time! Dr. Crane takes the time to understand and evaluate his paitients so he can provide the most effective treatment. Wait times for appointments are minimal. The staff Is friendly and knowledgeable and the triage nurses are available to answer their phone most of the time. On occassion I have left them a message and they always call back very quickly and are able to effectively answer questions and resolve issues. Dr. Crane truly cares about you and your entire health. He has been a source of help for me especially as he deals with my very, very complex health issues. Thanks Dr. Crane. Dr Crane is excellent. Takes the time to listen and staff follows up promptly. Highly recommend. I love the professionalism, the upbeat attitude of all the staff from the office to the assistants & even the doctor. I highly recommend this medical center as they make me feel completely comfortable & are available to answer all my questions! 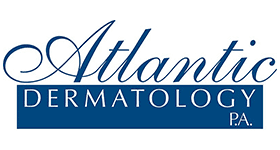 So very happy they are in Clinton & I am recommending them to everyone that I know that needs a dermatologist. Great now that they are out of Derm One! Short wait before procedure, then done quickly and professionally. I was told what to expect and what to watch for. Good experience. My husband and I are very pleased with the care we receive from Dr. Crane and his staff. We have recommended him to our family and friends. Did not have to wait very long and everyone was very polite and smiling. Dr. Cook was observant and answered my questions. The bonus is that I did not have to drive a long distance to see a dermatologist. Great! Always thorough and attentive. I feel comfortable that I'm getting quality care.